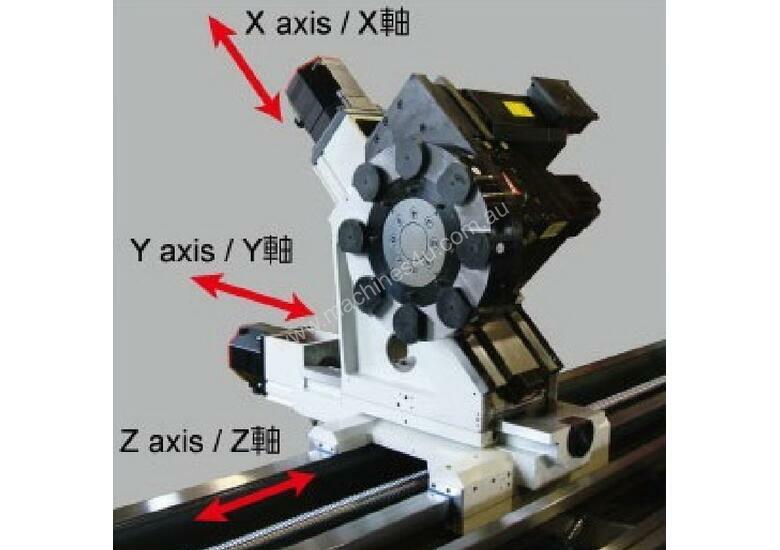 On a CNC lathe, C-axis is indexing control of the spindle. Used when milling with live tooling in the turret. With Y-axis on the turret you can mill off-center.